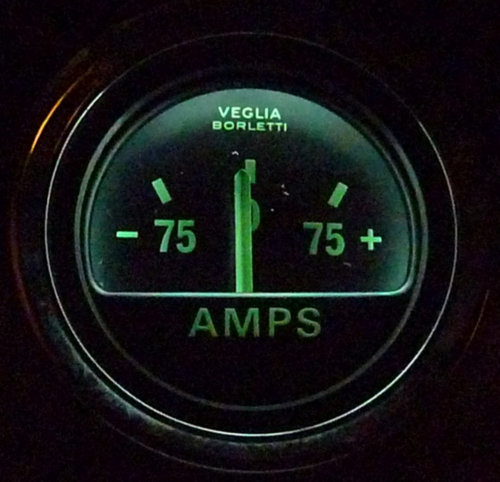 > Designed for the Velgia gauges in the de Tomaso Pantera and other de tomaso automobiles. > These LED Gauge Lamps are designed for a precision fit in the Velgia gauge lamp tube where other LED lamps will not fit properly. 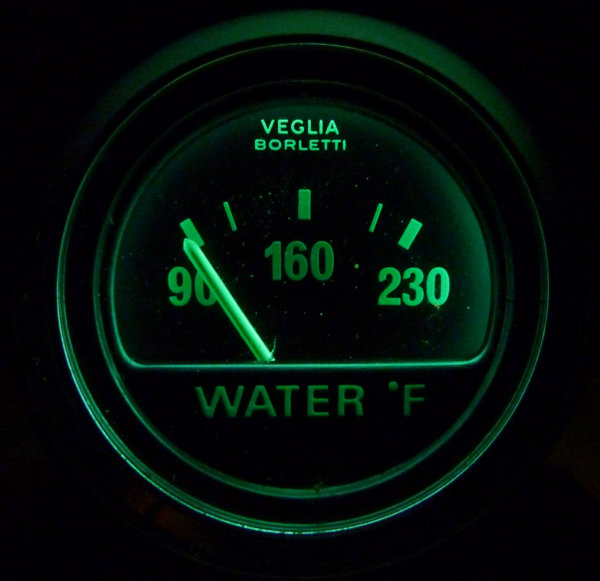 > These efficient LED Gauge Lamps generate more light and less heat than incandescent bulbs eliminating fogging effect sometimes found on the Veglia gauge glass. 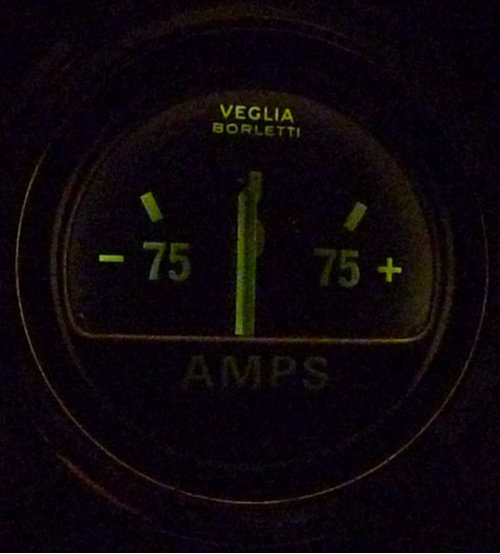 > The dimmer will function with these LED Gauge lamps but the dimmer will have reduced linearity in adjustment range. 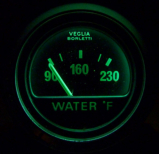 > LED Gauge Lamps can be used for the indicator light in the tachometer and speedometer. 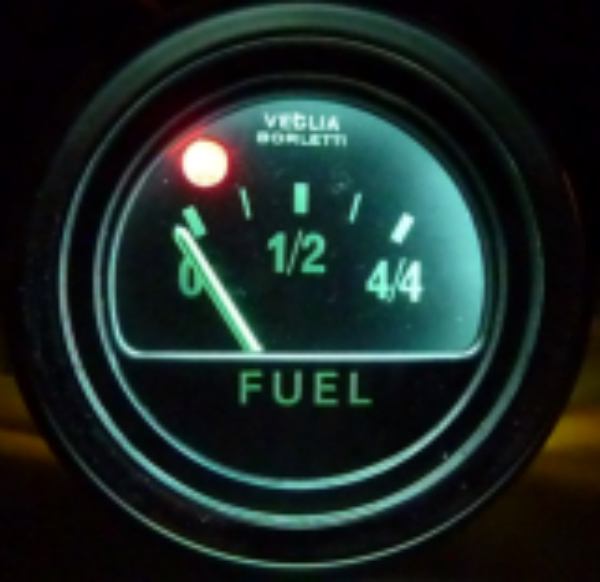 > LED Gauge Lamps can be used in the fuel gauge low fuel indicator. 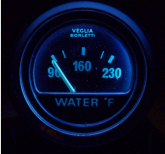 LED Gauge Lamp Specs: 100 Lumens (emitted light) Current - 0.14 Amps Watts - 1.9 Minimum Life - 40,000 hours. 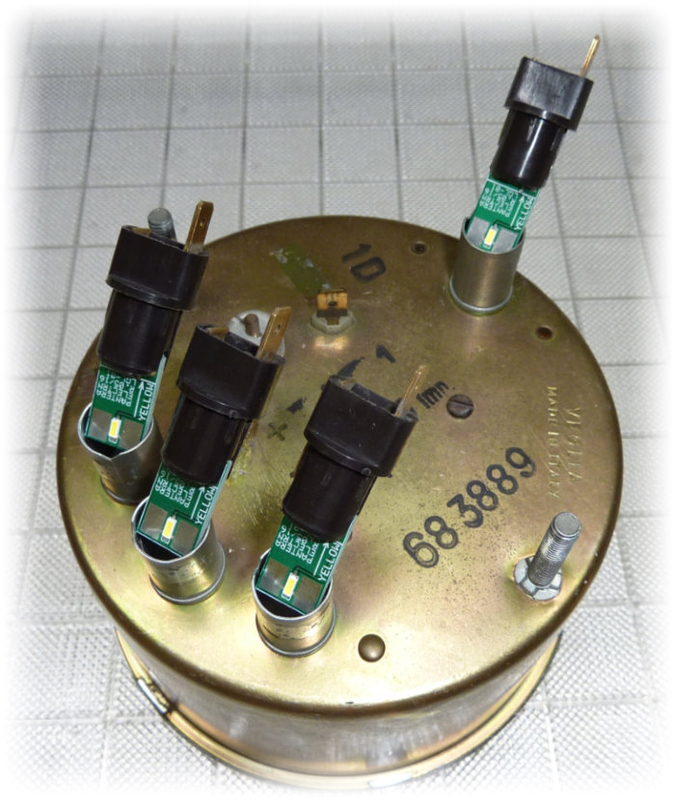 NOTE: Our Turn Signal Adapter is required for the LED Gauge Lamp to operate as the turn signal indicator with the factory flasher. Consult factory for more info. 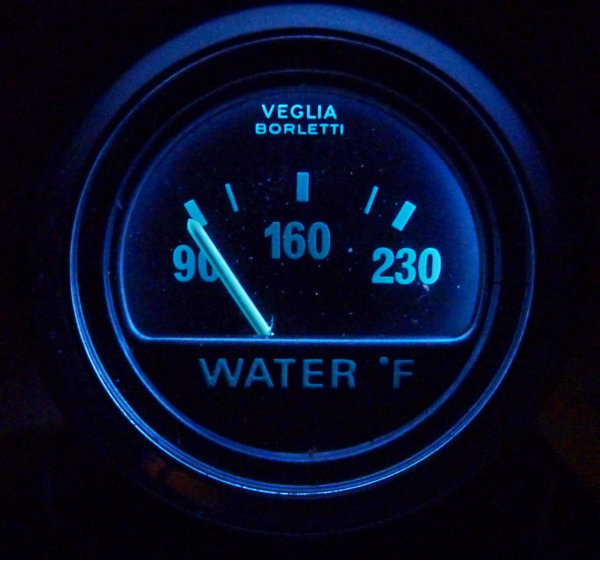 The LED Gauge Lamp can be installed in the speedometer and tachometer indicator positions which eliminates light bulb burn-out concerns. 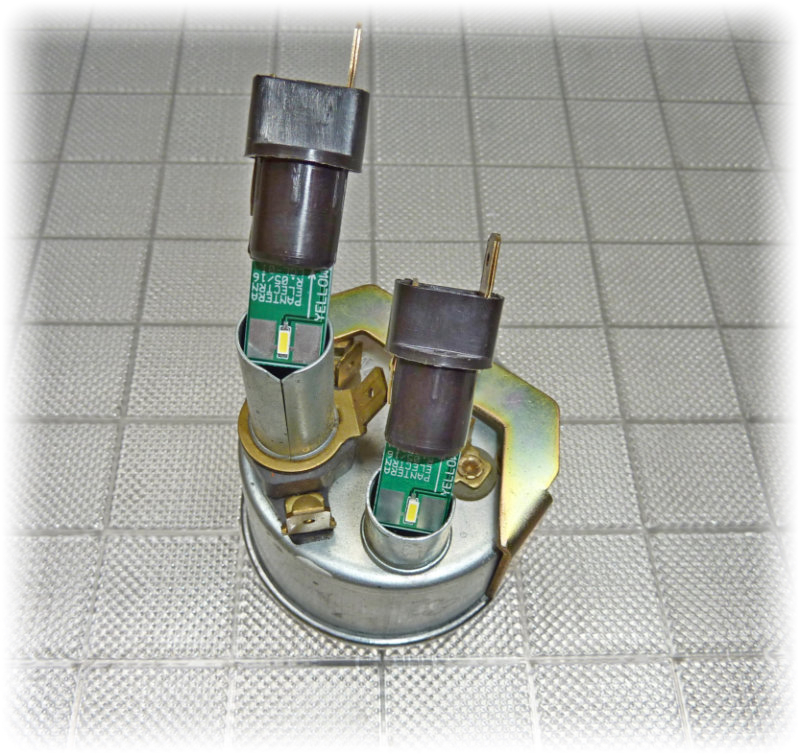 Pantera Electronics is the only manufacture of the “Hybrid” color LED Gauges lamps. 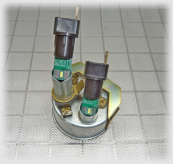 Our Hybrid LED Gauge lamps are a combination of a bright white LED and a green or blue LED. 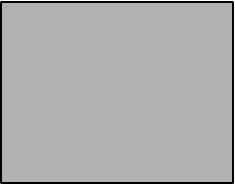 This was done to brighten the lighting and still add a color to the dial. 90 Lumens (emitted light) Current - 0.10 Amps Watts - 1.4 Minimum Life - 40,000 hours. 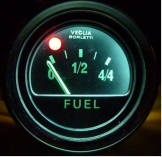 The LED Gauge Lamp can be used for the LOW fuel indication which eliminates light bulb burn-out concerns.